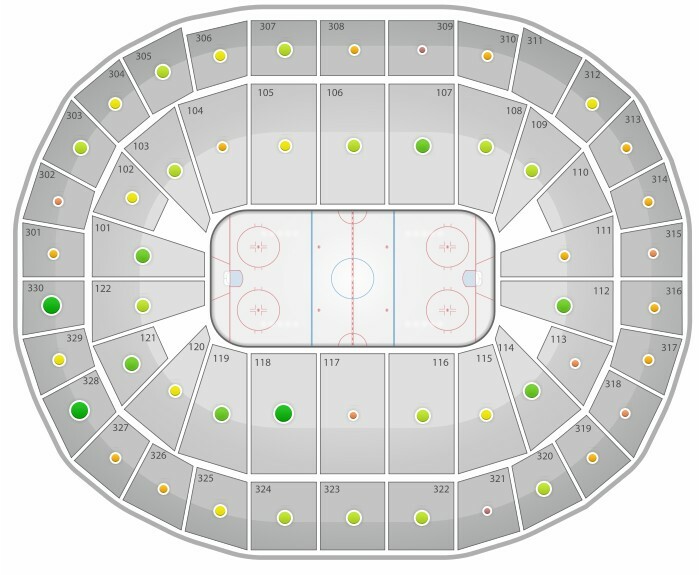 Though prices are falling with a Rangers sweep likely, this year’s Stanley Cup tickets, bolstered by the presence of games at Madison Square Garden, have been some of the most demanded tickets we’ve ever seen at SeatGeek and we’ve been tracking prices diligently and daily with our data being featured on CNBC, Time, Forbes and more. I encourage you to read those stories, but if you’re still looking for more of the raw data or detailed price notes then we got you covered below. 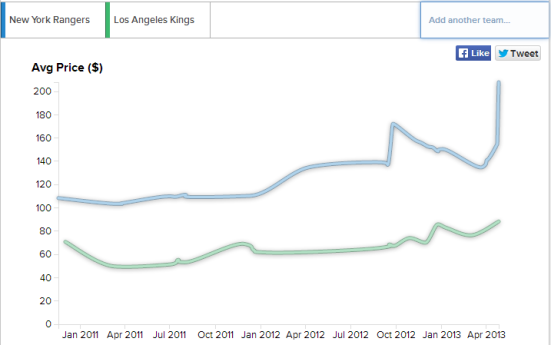 The average ticket prices for Games 1 and 2 in LA were $563 and $667, respectively. Tickets for Game 3 in NY went for nearly 3x the price of Game 1 tickets at an average of $1,558, making it the most expensive Stanley Cup Finals game since Game 7 of Canucks-Bruins in Vancouver in 2011 ($1,928 average). We estimate that fans spent about $12M on Game 3 resales, which is the most we’ve seen for any sporting event other than the Super Bowl (estimated $38M for this year’s game at MetLife Stadium). The previous non-SB high we’d seen was $11M for Game 6 of the World Series in Boston last season. Barring a possible Game 6 at the Garden, Game 3 will go down as the priciest ticket we’ve recorded at MSG ahead of the 12.12.12 Concert for Sandy Relief ($1,026 average ticket price). 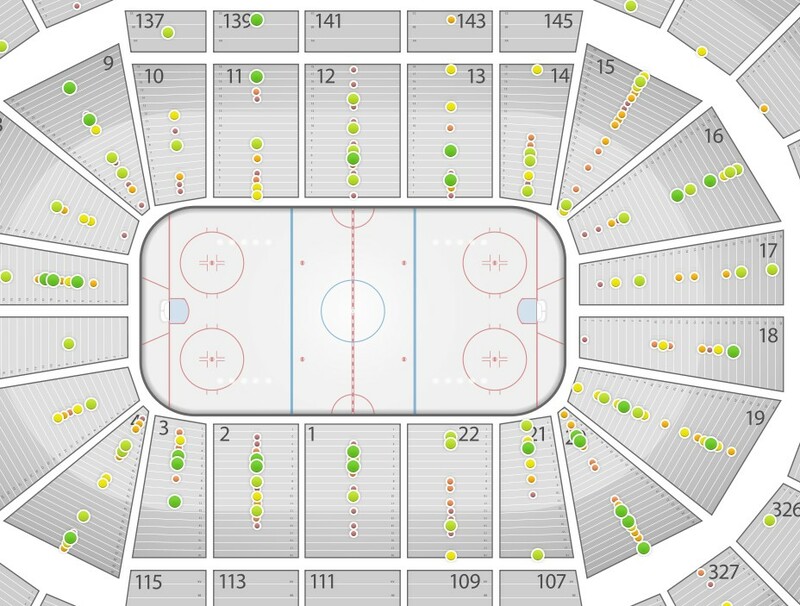 Prices for Game 4 tickets have taken a nosedive with the Rangers in a 3-0 hole. The average price on the secondary market today is $958, down 50% from an average of $1,900 per ticket prior to Game 3. The get-in price is now at $450 for Game 4, which is equal to face value for the 400-level seats at MSG; over the weekend, those same tickets were going for twice as much. 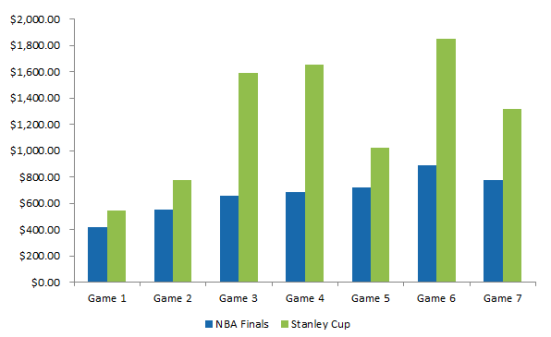 Game 3 and 4 in NY are the most expensive opening Finals games (meaning Games 1 and 2 or 3 and 4) we’ve recorded at any venue since we started tracking the resale market in the 2009-10 season. The previous high was set in Vancouver in 2011 at $858 per ticket for Games 1 and 2 of the Canucks-Bruins Finals. They’re also easily the most expensive tickets we’ve seen for any event at Madison Square Garden. Game 3 tickets are averaging $1,696 each on the secondary market, and Game 4 tickets are going for $1,818 apiece, far exceeding the previous high of $1,026 per ticket for the 12.12.12 Concert for Sandy Relief. One of the most interesting, late-breaking developments in the market today is that the Kings have released face-value tickets for Game 1 as of this morning (including the cheap seats at $349 a pop and lowers in the corner for $629 each, before fees), but similar seats are actually available for less than face value on the secondary market! Those upper-level tickets start at $322 on SeatGeek, and you can grab two seats in Section 117, Row 15 (same $629 face value as those seats pulled on Ticketmaster) for $550. Meanwhile, there’s absolutely no chance tickets are going to dip anywhere close to face value for Games 3, 4 and 6 at MSG. Most face values for the Rangers’ home games ranged from $453 to $725; only rinkside seats and some lower-level seats with club access were originally priced higher than that (anywhere from $1,099 to $2,413 each). The current get-in prices of the three games at MSG — these are for those upper-level tickets originally priced at $453 — are $986 for Game 3, $1,069 for Game 4 and $1,686 for Game 6. Another fun note on the market for the games at MSG: You can buy a 2014-15 season ticket at several NHL venues for less than the cost of one ticket to a Stanley Cup Finals game in New York. Looking to a couple of the Rangers’ and Kings’ neighbors for examples, Anaheim Ducks season tickets start at $720 for the full season, and you can lock in your seat to every Islanders home game for $742.50 ($16.50 per ticket x 45 home games, including preseason). It’s that time of year again, where even the passive hockey fans let themselves get caught up in the excitement that is the NHL Playoffs, when Stanley Cup ticket prices skyrocket. The banging on the glass, the fights. There is just something special about the NHL. It still has a sense of being pure and true to its fans. No fines for celebrations. No villanizing it’s flamboyant stars. If you watch hockey, you might see someone get punched in the face. You might see some blood. The NHL is like the honey badger, it doesn’t give a damn. SeatGeek’s ticket search engine, gives us unprecedented data around ticket prices and we wanted to share it with you all so you can make the most informed decision possible on Stanley Cup tickets – and yes even learn a tip about saving $1,000 by shifting over one section in your ticket search. With the Canucks taking game one, we took a fresh look at ticket prices. This time we focused on listing prices and “get in” prices (i.e. the cheapest way to get into the arena) rather than just Stanley Cup ticket sales. You can see that the admission prices for these NHL finals are extremely high even for 300 and 400 levels. See how the Bruins falling 2-0 in the series affected ticket prices for Game 3. How the Bruins’ big 8-1 victory affected ticket prices for Game 4. A look at ticket prices for Game 7 of the finals. If you are looking for 300 Level seats, the cheapest Section 330 tickets is on average $300 cheaper than the best deal in the two adjacent sections. Are you going to the NHL Finals? Want more buying tips? Get in touch with us on Twitter @SeatGeek.